This tiny cactus with its thick whitish spines and attractive pink flowers (larger than the plant itself), is highly prized among collectors. 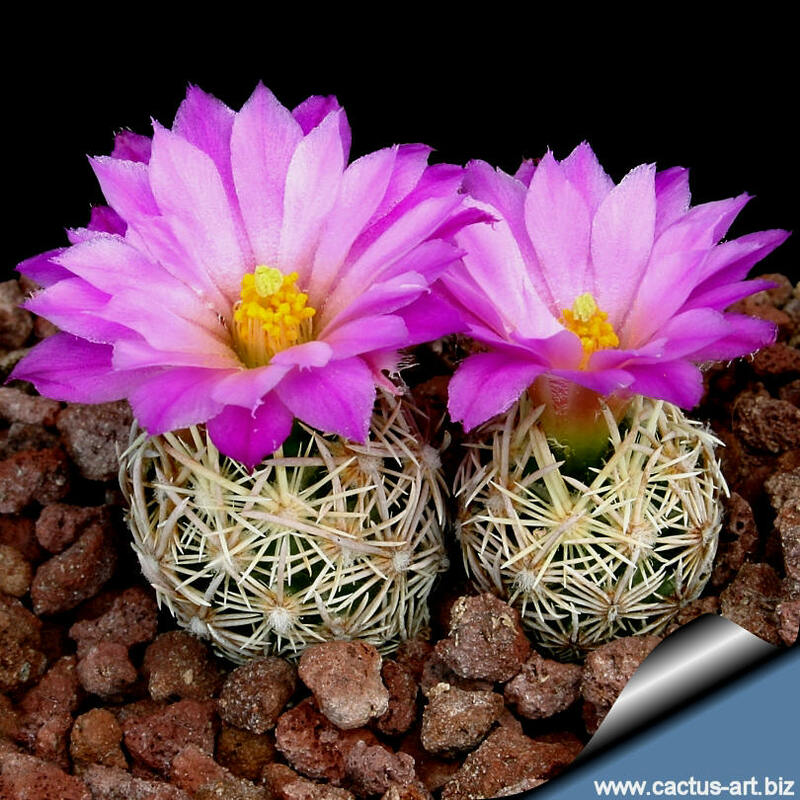 Description: Escobaria minima is a tiny cactus with rounded, single stems up to 2,5cm tall and 6-17 mm wide, occasionally with a short tap root; tubercles 2 to 4 mm wide. 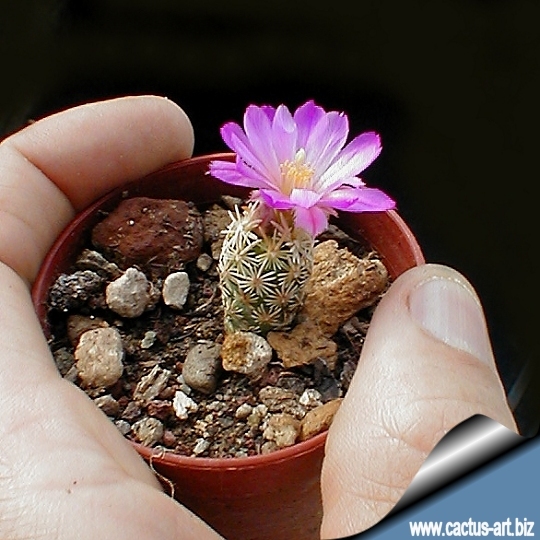 A cultivated plant can be slightly larger, and clumped . Flowers: Numerous, pink, up to 2.5 cm in diameter, 1.5 cm long. It blooms in several flushes, primarily in May, but the blooming period lasts from March until June. 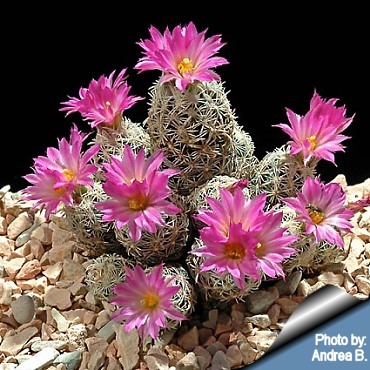 The flowers are easy to pollinate, and produce around thirty seeds per fruit. 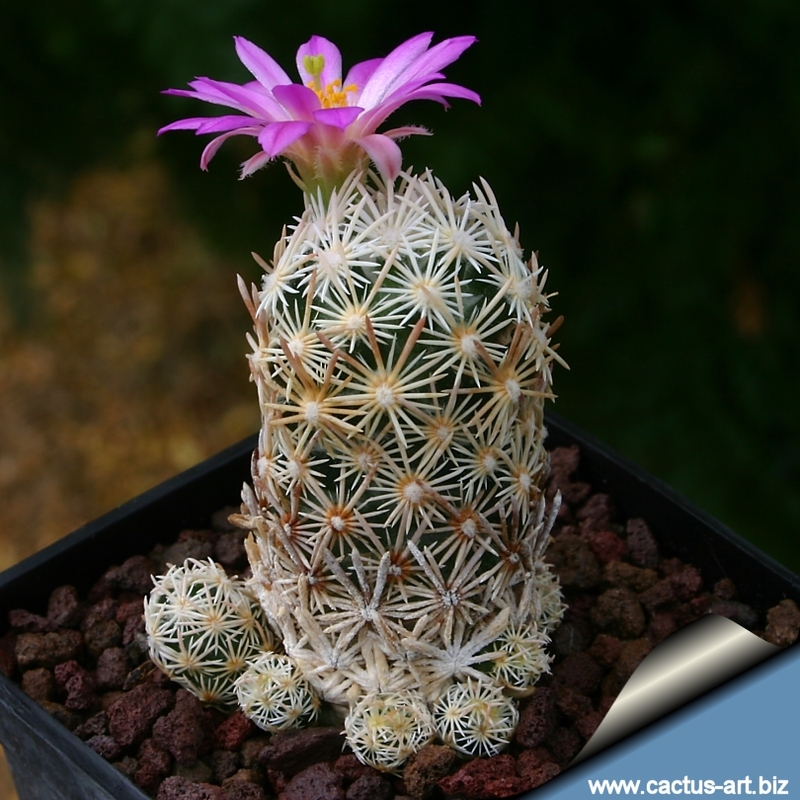 Origin: Chihuahuan desert in the USA, they are found from only three populations, all in a tiny area of Brewster County, Texas. and E. hesteri (From an adjacent hill) are two miniature plant which resemble dwarf races of E. vivipara, to wich they shares some characteristic, but much smaller in all parts. 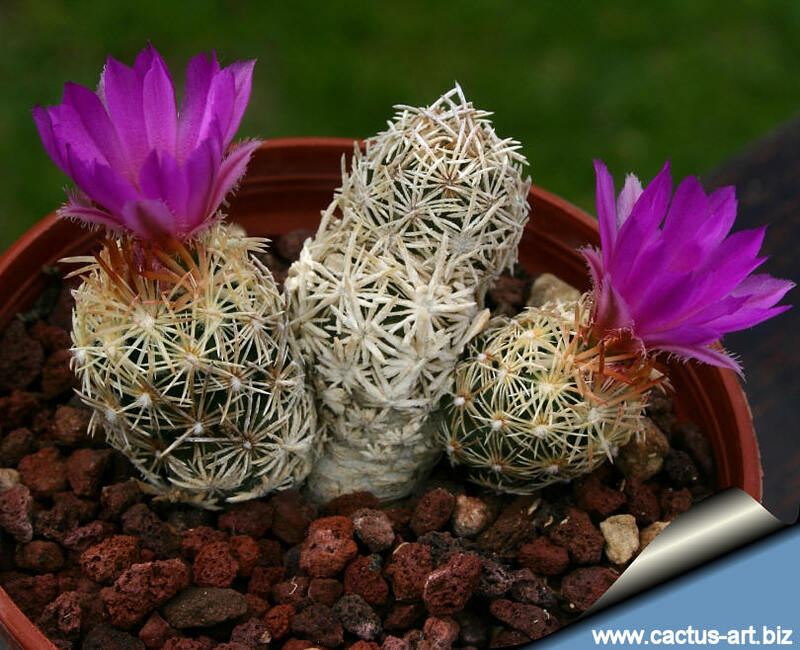 They can survive to –25°C in dry-winter regions. This is the smallest Escobaria, a real gem, and very beautiful!!! 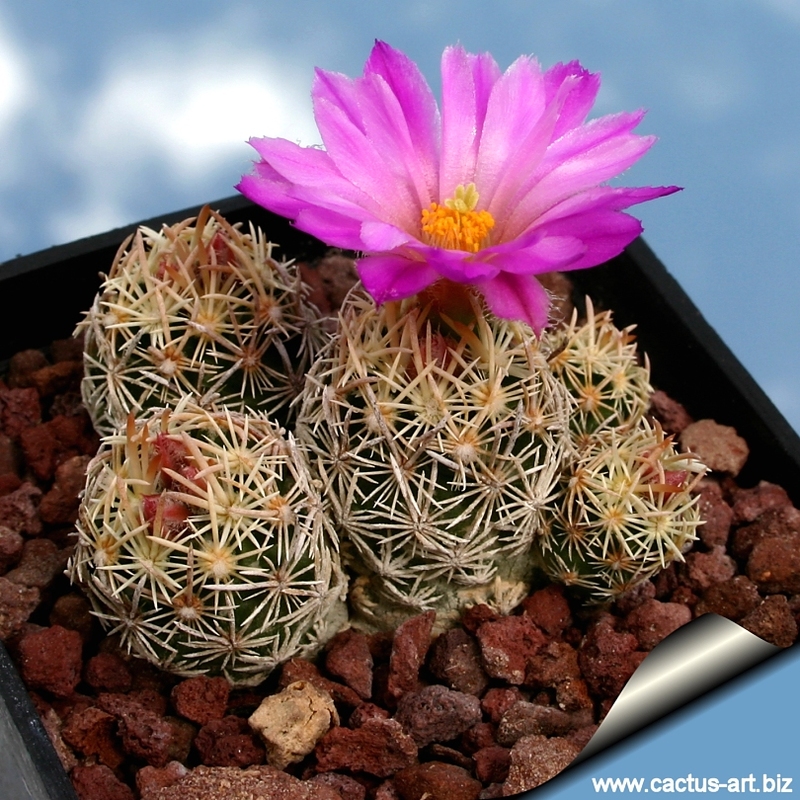 Plants flowering in cultivation do not self-pollinate, but are easy to hand pollinate, and produce around thirty seeds per fruit.